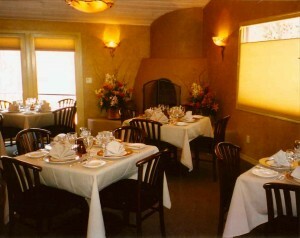 December 18, 2012 /MarketersMedia/ — Charles & Phyllis Cline of the Heartline Cafe' in Sedona Ariona are proud to announce a new opportunity for the community: hosting special events in their charming Fireside Room. The Fireside Room is an intimate environment surrounded by patio gardens and is ideal forholiday events, reunions, birthdays, weddings, corporate or private meetings, spiritual circles, classes, Bar Mitvahs and Bat Mitvahs, craft shows, demonstrations, lectures and more. This delightful room has capacity for approximately 50 guests and spills out to garden patios surrounded by lush foliage inviting outdoor gatherings that are romantic and welcoming. The Fireside Room has a full commercial kitchen and can be used with personal catering staff or the Heartline Cafe' catering staff. This kitchen provides commercial grade: refrigeration, convection ovens, dish-washing station and ice-maker and a grilling area open to a large room with space for spectators - perfect for a cooking class. The Heartline Cafe has been well loved in Sedona since 1991, as a gathering place and a home-away-from-home. The warm atmosphere is evident from the moment of entry, which is why it is one of the favorites of locals and tourists alike. Everyone feels like family there, and some have even met their families there. The Heartline Cafe' supports local arts, music and food and features local art work on the dining room walls. It has been the site of numerous benefits, openings, and special events throughout the years, and Phyllis and her generous staff always go the extra mile to help support any good causes.